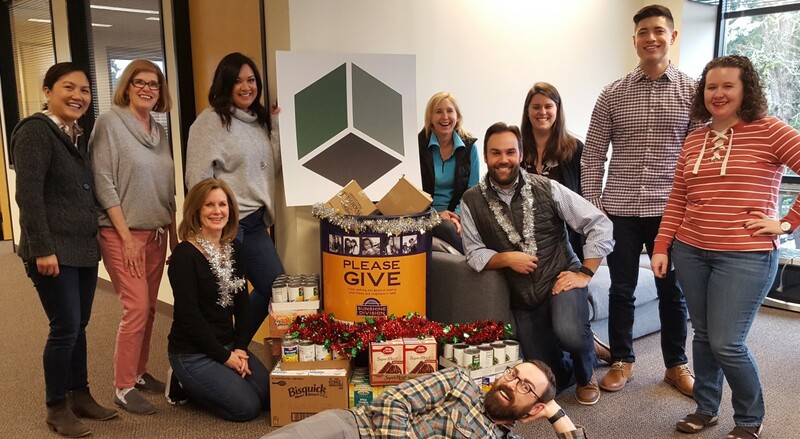 This winter, Bates Group is hosting a food and clothing drive in partnership with the Sunshine Division, a year-round, direct emergency food and clothing provider in the Portland Metropolitan area. In operation for over 9 decades, Sunshine Division serves over 1,500 families every month through their front doors and also makes bulk donations of food to 15+ other food relief agencies in five Oregon counties. With the help of hundreds of volunteers, the Sunshine Division will pack and deliver over 3,800 Holiday Food Boxes this December. Many thanks to Bates HR Assistant Kaitlyn Messinger and Senior Associate Scott Halladin for their support with the donations. This year, Bates has partnered with SARC Oregon to provide emergency recovery kits for sexual assault survivors. 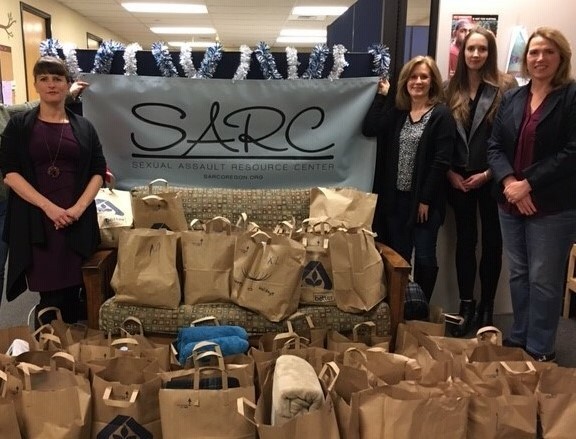 In operation since 1977, SARC (Sexual Assault Resource Center) provides free and confidential services to survivors of sexual assault which include support, counseling, and advocacy. Many thanks to Bates CEO Jennifer Stout and Office Manager Mike Eisenberg for arranging this year's service project and to all our staff who dedicated time and resources assembling and delivering the kits. Click here to see more photos from our 2018 service day. Bates Group analyst David Jones has been a basketball and softball coach with Special Olympics Oregon in Clackamas County for many years. Due to budget shortfalls, there were no Oregon state games this year, but local teams still participated in scrimmage matches. Clackamas walked away with 2 wins in softball! 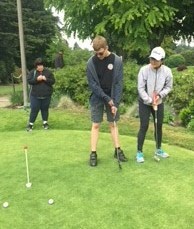 IT Manager Joyce Thompson also became involved with Special Olympics Oregon this year as a golf coach. 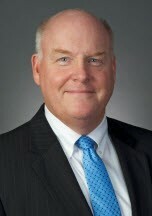 Bates Expert Lloyd Wennlund has been a member of the The Salvation Army Metropolitan Division advisory board for 7 years and is Chairman of the Development Committee. The Salvation Army Metropolitan Division serves communities in the Chicagoland, Northern Illinois and Northwest Indiana areas. The Board enjoys lending their "time, talents and treasures" to do the most good for those less fortunate and in need in their communities. 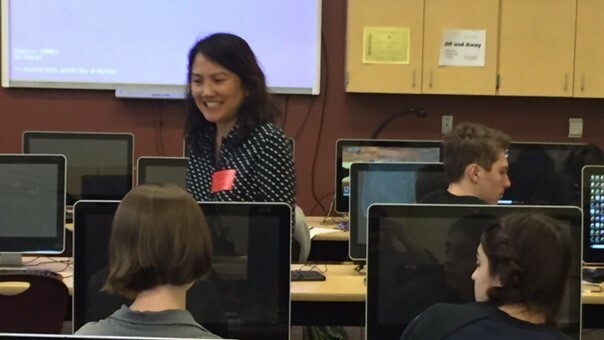 Joyce Thompson appeared as a Career Enrichment Guest Speaker at a Tualatin HIgh School technology class. 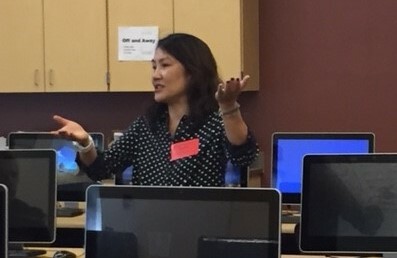 Joyce spoke about her work as Bates Group's IT Manager to inspire students thinking about going into the IT and Technology industries. 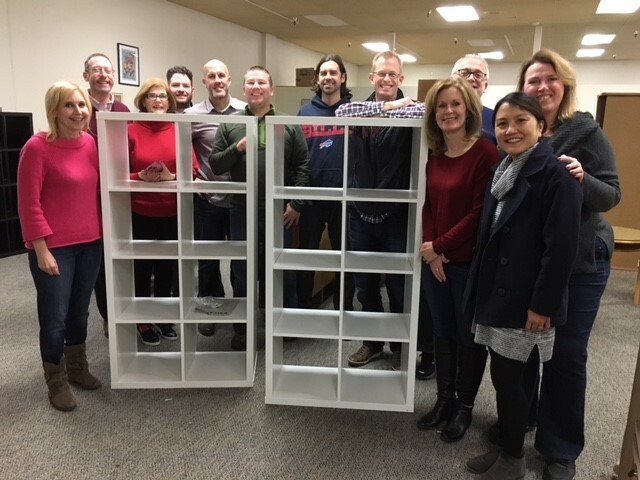 Bates Group senior leadership came together on December 14th, 2017 to build household furniture for economically challenged individuals and families in transition with local nonprofit Community Warehouse's Dresser Project. Dressers are consistently one of the most needed items at Community Warehouse and one of the top requests received from needy families. The Dresser Project is a program that raises funds for dressers while providing fun, engaging volunteer opportunities, ensuring enough dressers on hand to meet every family's needs. As we share in our photo link below, the project was a great team effort, full of smiles and laughs (yes, we learned that some of us are definitely handier then others), and a sense of great pride in our finished product of seven pieces of new furniture that we built together. Community Warehouse is a local Portland nonprofit “furniture bank” which collects and redistributes donated furniture and household goods to neighbors in need. Community Warehouse is the main resource for low income individuals and families in NW Oregon and SW Washington seeking essential household furnishings. It coordinates distribution through a network of more than 200 social service agencies and engages a staff of 25 in addition to 180 active volunteers. Click Here to see more photos from our 2017 desser build day. Click Here to see photos from 2016. Bates Group Director Greg Kyle was recently certified as an Emergency Medical Responder as part of a community-based emergency medical services program new to the U.S. United Rescue in Jersey City, NJ is the first of its kind in this country, and is run in conjunction with Jersey City Medical Center EMS. It is based on the very successful United Hatzalah program in Israel (Hatzalah is Hebrew for Rescue). With ambulance arrival times averaging 11 minutes in many U.S. cities, the goal of the program is to build a community of volunteer EMRs who can quickly respond to critical incidents in their immediate vicinity, when every second matters. In Israel, United Hatzalah has significantly reduced response times to less than 3 minutes, providing the critical pre-ambulatory care needed to stabilize victims until they can be transported to hospitals. 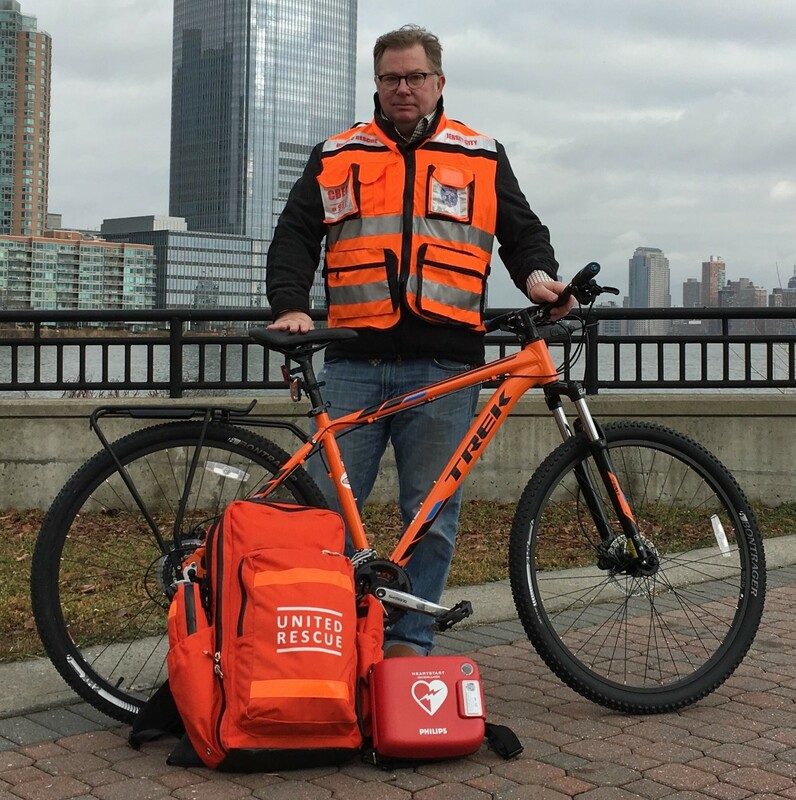 The goal of United Rescue is to replicate that rapid, 3-minutes-or-less response time across the U.S.
Greg went through over 100 hours of training including classroom time, skills-building sessions and clinical shifts on ambulances in order to be certified to provide emergency care in his community. He is looking forward to being an active volunteer with United Rescue and doing all he can do to save lives and provide essential, critical care for those in need. Bates Associate Jessica McNaughton has been volunteering with Oregon-based Friends of Family Farmers for several years. The nonprofit brings together farmers and citizens to shape and support socially and environmentally responsible family-scale agriculture in Oregon. They have a number of different programs to support existing family farmers, eaters and aspiring farmers. These programs range from actively participating in legislative changes that may impact small scale farms, monthly education events for eaters on food production called InFarmation, a land-link program to help new farmers access land for farming and hosting purchasing events to connect farmers with people wanting to purchase local food. Jessica feels it is important for people to understand where their food comes from. It’s easy to get your food from a grocery store and forget about the hard working people growing that food behind the scenes. Additionally, the average age of Oregon farmers has topped the national average for the last few years. With the average age of farmers approaching 60, it’s important to encourage and support new farmers who want to enter the field so this important public service and economic industry is not lost. Purchasing your food from a local, small-scale family farm is a great way to support your local community, economy and the environment. Jessica helps Friends of Family Farmers at their events wherever she can including setup and take-down, manning tables to answer questions about local food, helping people load heavy vegetables, waiting tables at farm-to-table fundraising dinners and of course purchasing great food from local farmers. Bates Group analyst David Jones has been a coach with Special Olympics Oregon in Clackamas County for many years. Special Olympics provides year round sports training and athletic competition for people living with intellectual disabilities of all ages and skill levels. Competition provides athletes with opportunities to develop physical fitness, create friendships, and interact with the community. Serving as a coach is not just about teaching a sport, but also helping athletes learn life skills and grow as individuals. David’s younger brother, Derrick, has been an athlete for 25 years. Both of their parents have also served as coaches in the past, so Special Olympics is a family activity as well as a charitable one. Currently, David is an assistant coach for his brother’s basketball and softball teams. 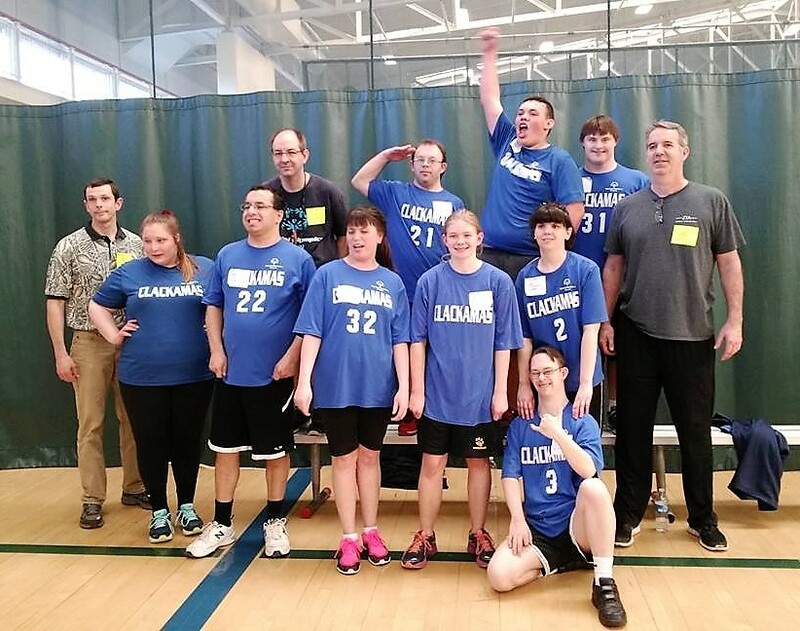 Their team won a bronze medal in Softball during the 2016 spring games in Newburg, OR, and the 2016 basketball team (pictured below) won silver.